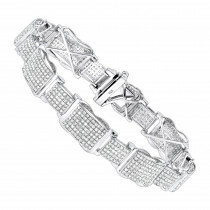 This Mens Silver Diamond Bracelet weighs 67 grams, showcases 3.25 carats of genuine diamonds and a rhodium plating for an excellent shine. 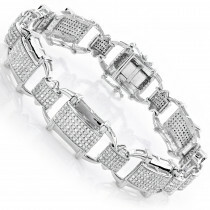 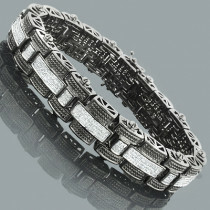 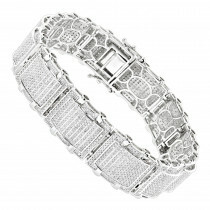 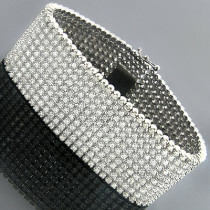 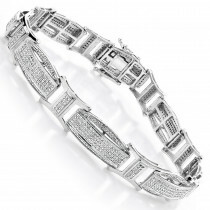 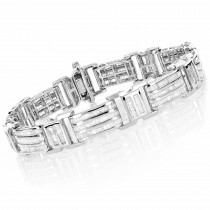 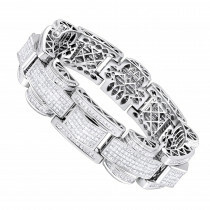 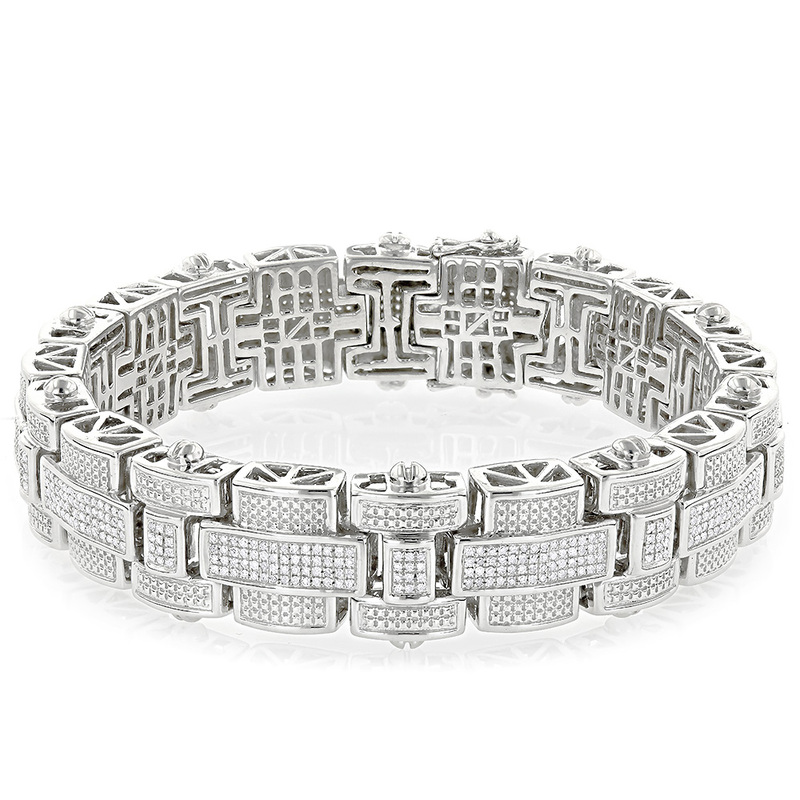 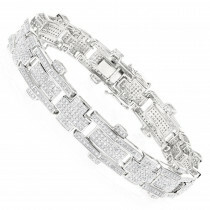 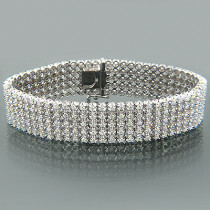 This heavy sterling silver diamond bracelet makes a fabulous gift for any occasion. 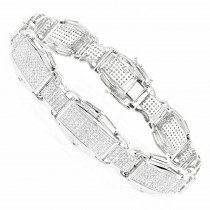 A: Unfortunately we do not have this particular diamond bracelet in yellow gold at this time but we can sure custom make this bracelet in yellow gold for you. 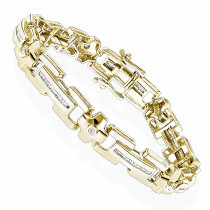 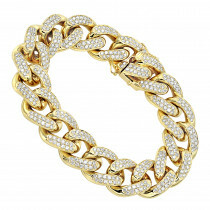 For this bracelet it would take us about 4 weeks to custom make in yellow gold. 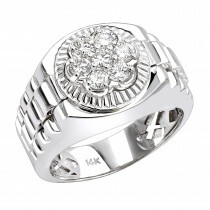 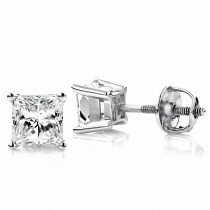 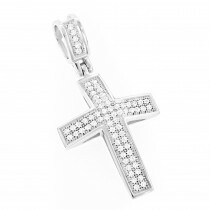 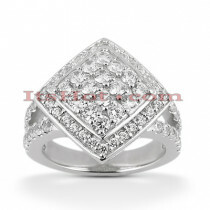 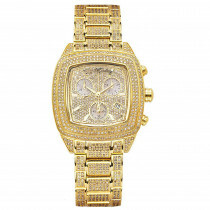 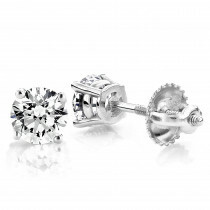 If you are interested and able to wait please let us know if you would like it to be made in 10k gold or 14k gold. 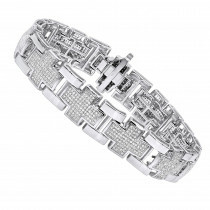 If you are not able to wait and need it for some occasion sooner please do let us know and we will offer you a similar men’s diamond bracelet that we already have in stock in yellow gold and available for immediate shipment. 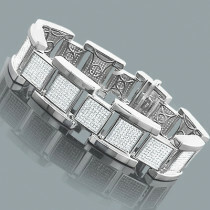 My boyfriend uses this bracelet everyday and cannot live with it.